Join us for the night of nights on the social calendar. Our evening will be a very special night raising much need funds to help build a better future for Samuel. The evening will start off with trivia mixed with auctions with some spectacular prizes. No trivia experience necessary! - He needs immeasurable community support to be able to thrive, to maximise his intellectual abilities and to really enjoy life. 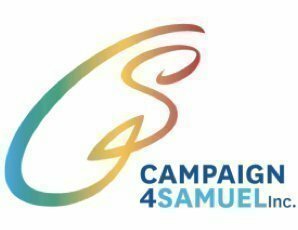 This year, our focus is on developing a wheelchair accessible outdoor area at the back of Samuel’s house so he can broaden his hobbies and pursuits. This could include a terrarium for frogs, small turtles, lizards and the like. It will also add to the limited space he has just to move around the house or to just have some time by himself.